Please note the time Change! Time is getting short and we only have few short months to stop the destruction of our country. Please come to our meetings and get educated on what is happening. Linda Will be speaking on behalf of the Election Integrity Project, which seeks to protect government of, by and for the people by maintaining an active role in the part of government that empowers us with our most basic right; the right to choose our Representatives by VOTE! Linda Will provide us with a complete analysis of the June 5th election and provide our attendees with abuses of our voting system and how it might affect our November Election. Jonathan Murrieta will be with us to share his Award Winning Essay "What America Means to Me" and why we should all be happy to live in America. Jonathan's Essay will encourage you to get out and Vote to protect your Liberties. Jonathan Murrietta is eighteen years old. He lived in Long Beach all his life. Throughout the years he has developed a passion for performing and entertaining. His ultimate goal is to become a successful working actor. 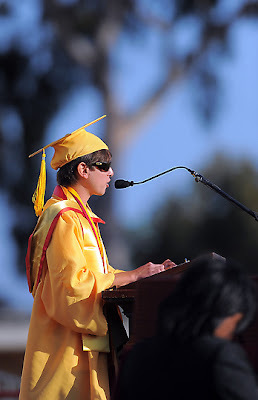 He just graduated Wilson Classical High School in Long Beach, and was honored to give the Commencement Speech at graduation as he was one of Wilson’s Valedictorians, earning straight A’s throughout high school. Next fall, he will be attending California State University, Long Beach and majoring in theatre. He has been performing in school plays since 5th grade, and he even has an agent who periodically sends him out on auditions in L.A. He attends Calvary Chapel Costa Mesa and he is very blessed to live in a country that allows him to freely express his Christian values. He is a staunch conservative Republican, and he is very passionate especially on the social issues of the day that affect this country’s moral status. Recently he was awarded the Ann Bowler Memorial Scholarship given by the Los Angeles County Federation of Republican Women, where he read his essay “What America Means to Me,” at their board of directors meeting, and again at the Red, White, and Blue Long Beach Republican Party Barbeque at El Dorado Park. To sum up, he is pro-life, traditional marriage, right wing conservative evangelical Christian college student who is very thrilled and honored to be speaking at this event. We will also be having Dr. Gary Thomas Scott and his Civil War Band, Come early to hear some great music from the Civil War era and please bring your whole Family with you, it should be a terrific night for education and entertainment. You will also be able to get your picture taken with Abraham Lincoln who will be giving his Gettysburg Address, a moment you will not want to miss. If you have not been to our meetings before, please call 310 994 5522 to put your name on the guest pass list for the entrance to the event.